​At Lakewood we provide a safe and clean environment for little ones at the church. We want to make sure families feel comfortable dropping their children off so that they can get the most out of our worship services and classes. The Nursery has a great team of leaders ready to assist you in learning how we care for infants and toddlers in our church. They are a dedicated group that is more of a family than a team. ​At Lakewood we are passionate about connecting kids to a life in Christ. Our mission is to lead children to a life in Christ through meaningful biblical teaching, authentic worship, and authentic community. The Bible should never be boring. We create fun, age-appropriate environments and activities that apply the Biblical truths that are shared each week. When kids are having fun at church they can't wait to come back next week! 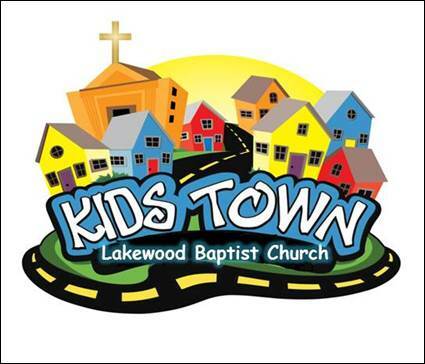 KID'S TOWN, our children's ministry, takes place 3 times each week. On Sunday mornings for Sunday School and Children's Worship Service, then Sunday night for games and fellowship, and also on Wednesday nights for worship and missions activities. We strive to make kids' time with us to be the best hour of their week!